Welcome to my first challenge of 2014 with A Blog Named Hero. This challenge is about anything that's new to you. New stamp, new products, new colour. For my card I'm using a new stamp, Hero Arts Tiny Flags and a new technique to me, chalkboard. To challenge myself even further, I wanted to make a masculine Valentine's Day card. In my house that means no glitter, sparkle, gems, frills, lace or pink. For the large heart I took the Tiny Flags stamp, inked it in Mint Julep and stamped it on white paper. 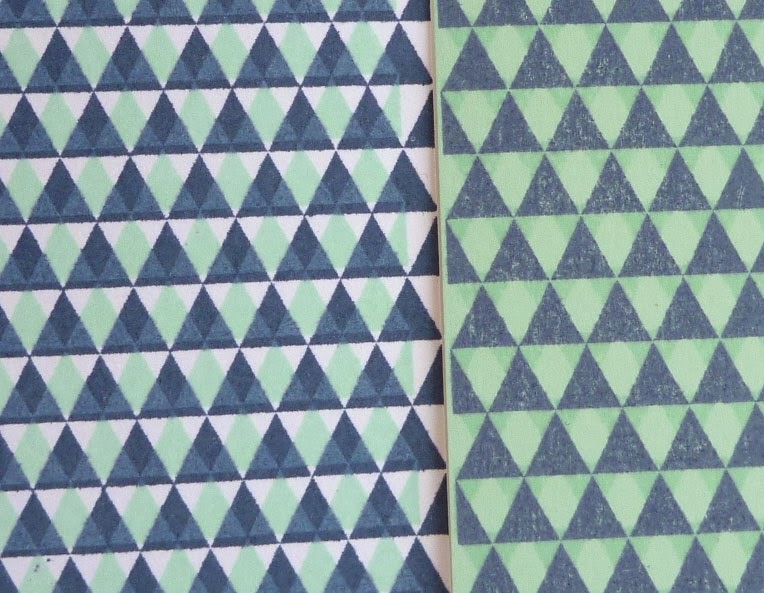 Then I inked the stamp in navy and stamped it slightly off from the green triangles, so they are slightly overlapping. For the small heart I stamped the image in Mint Julep on Shallow Layering Paper, flipped the stamp around and inked it in navy and stamped. 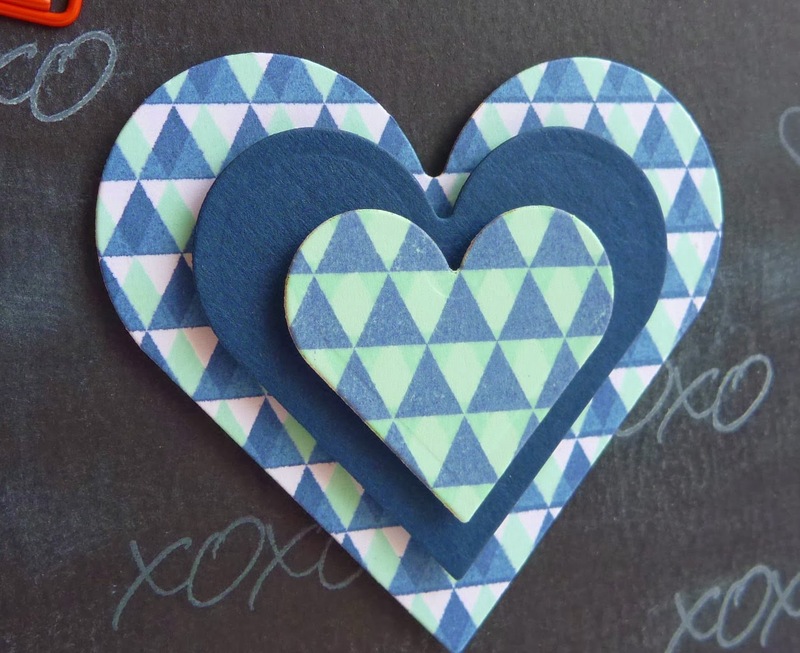 This has the triangles pointing in two different directions while on the large heart they are pointing in the same direction but offset a bit. It's hard to see it on the hearts but here's a close-up of the stamped papers. I white embossed the sentiment and stamped the XOXO's and heart in Memories White Dye and Pigment inks and used my fingers and a cloth to smear some of the ink around and lighten the stamped images. For a pop of colour I added a red heart paper clip in the corner (it's from a dollar store). So now it's your turn to make a project using something "new". You can link up your projects here and a random winner will be chosen to receive a gift voucher from the fabulous Simon Says Stamp. Happy crafting and thanks for visiting today! What a fun way to use the Tiny Flags stamp, Sue! Fabulous card!